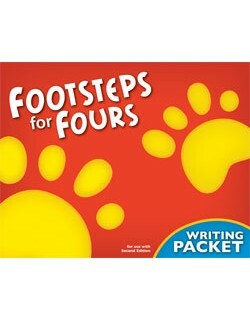 The Footsteps for Fours Writing Packet provides tracking and tracing opportunities for preschoolers in order to help them develop fine motor skills. The worksheets are colorful and engaging. As their skills develop, the preschoolers will learn to trace and track the alphabet letters. The packet also includes pages for the practice of actual letter writing, but if a child’s motor skills remain underdeveloped, these pages may be used for continued practice with tracing.